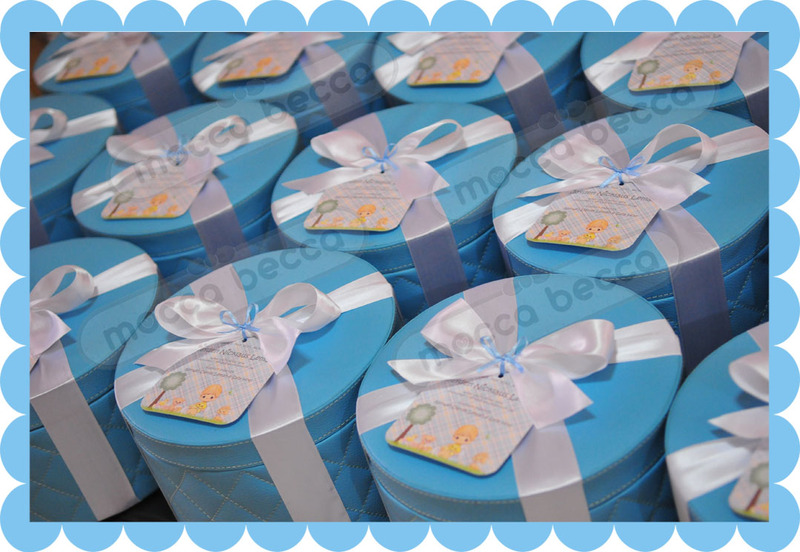 Baby Bianca is turning ONE !! 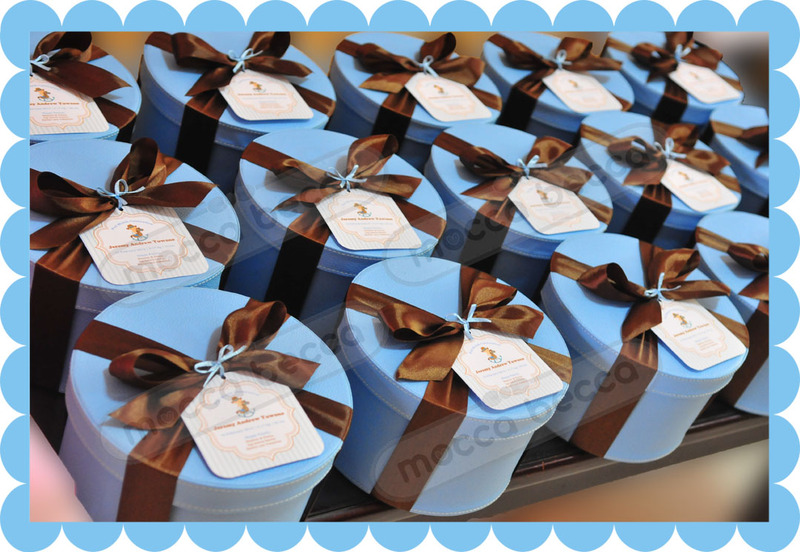 Ordered by mommy Savitri with request in owl theme. 1 plastic jar caramel popcorn + 1 choco milk + 1 kitkat bar 4F + 1 kinderjoy + 1 lollipop + 1 plastic pack rose gem snack. 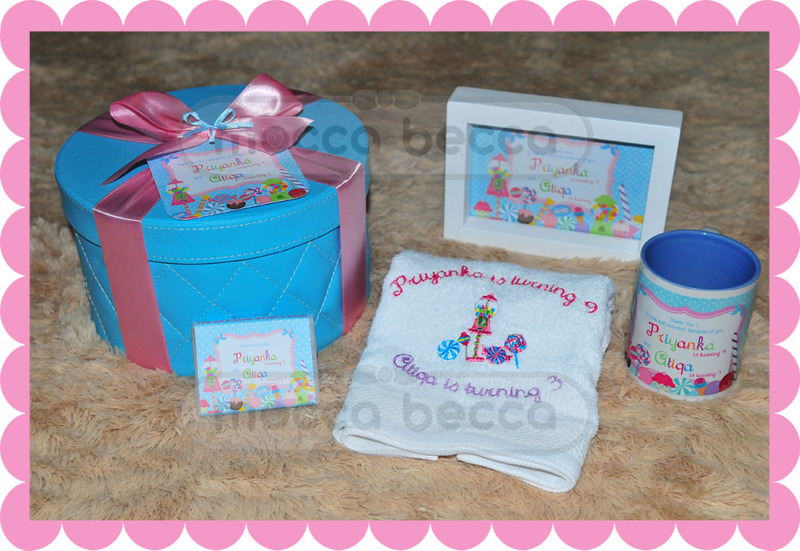 Darrell Frederick’s one month hampers. 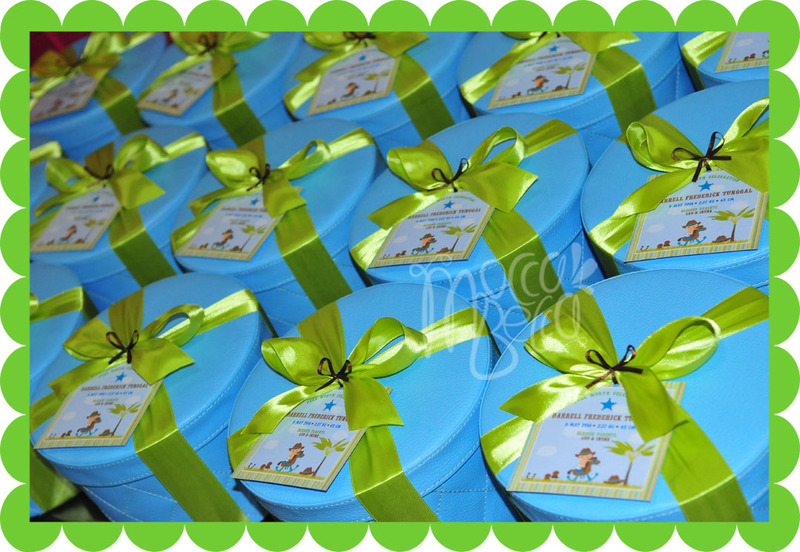 Ordered by mommy Inunk, with request in baby horse theme. 1 glass jar choco chip cookies + 2 ferrero kinderjoy. Kay Nataya Marinka is turning ONE ! 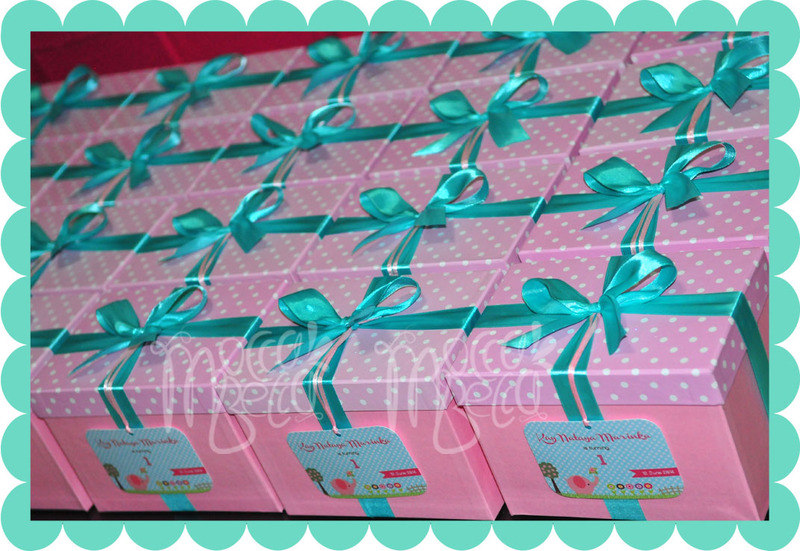 Ordered by mommy Wulan, with request in cute elephant theme (pink-tosca color). 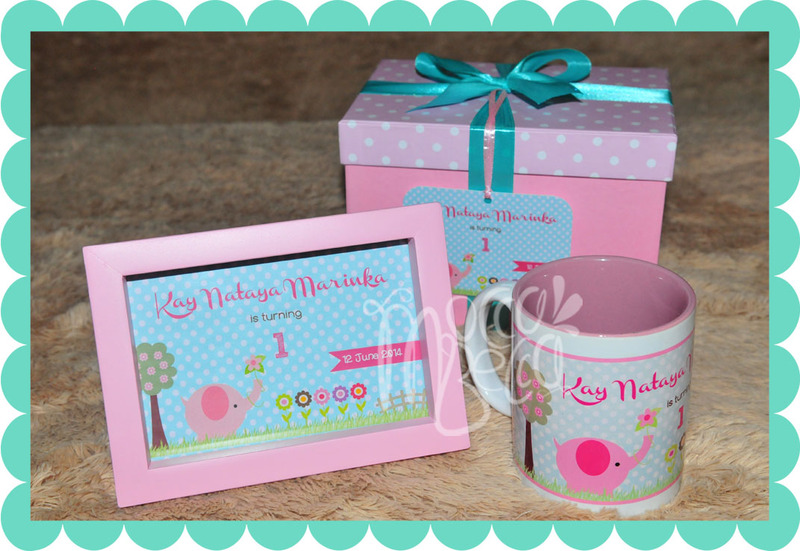 1 polkadot hard box + 1 wooden frame 4R + 1 printed mug. Happy 1month baby Jayden Nickalus. Ordered by mommy Sally with request in “precious moment” theme. + 1 glass jar choco chip cookies + 1 glass jar peanut cookies + 2pc ferrero kinderjoy. 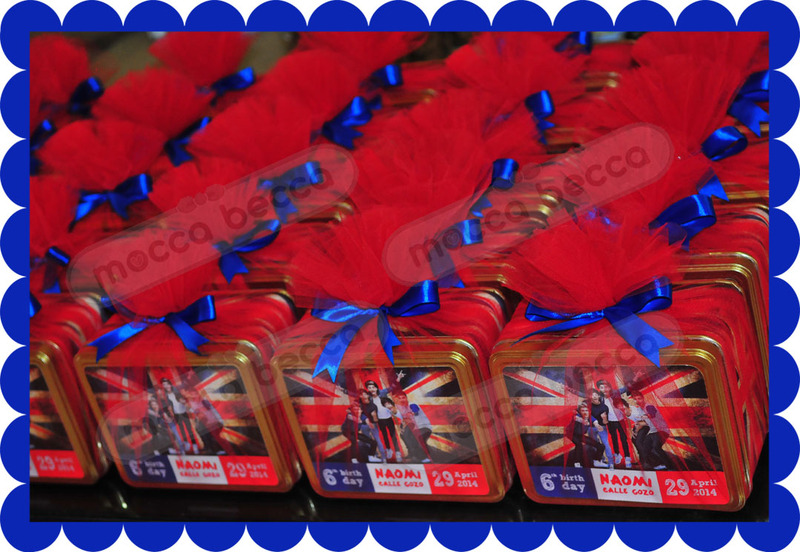 Naomi Calle Gozo birthday hampers. 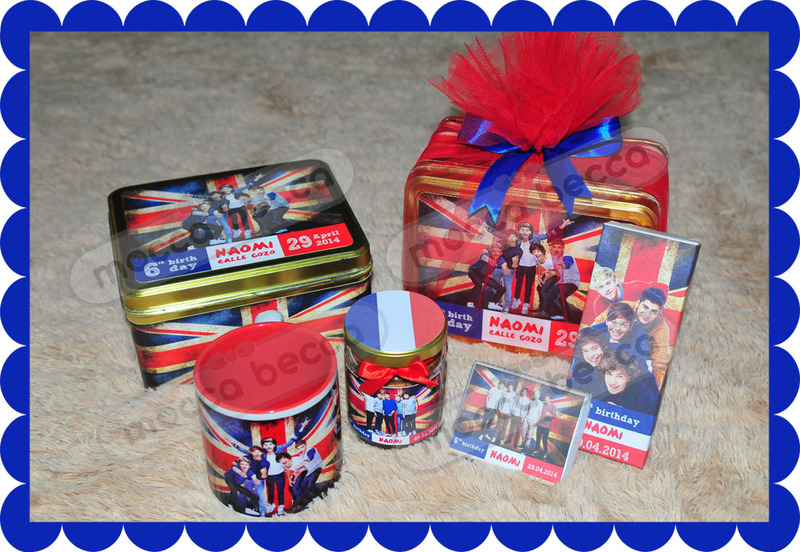 Ordered by mommy Marcelina for her niece birthday with request in ONE DIRECTION theme. 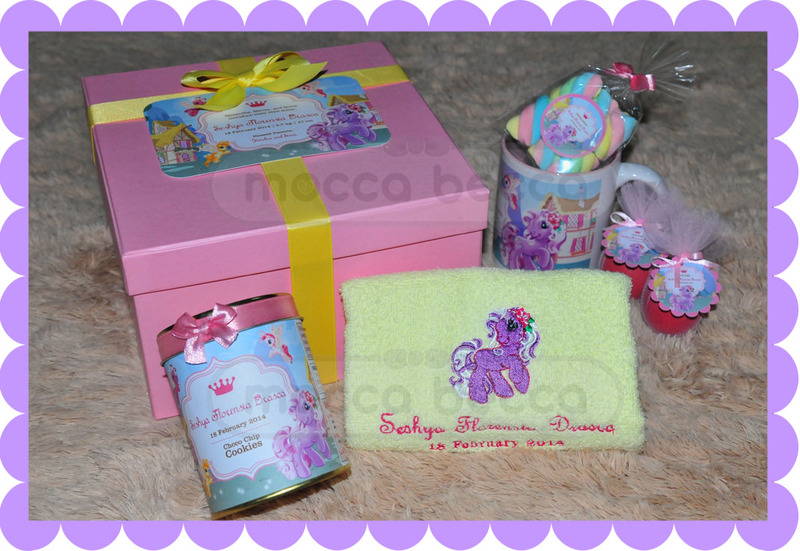 Ordered by mommy Sisca with request in little pony (horse) theme. 1 tin can choco chip cookies + 1 pack marshmallow + 2 red eggs. 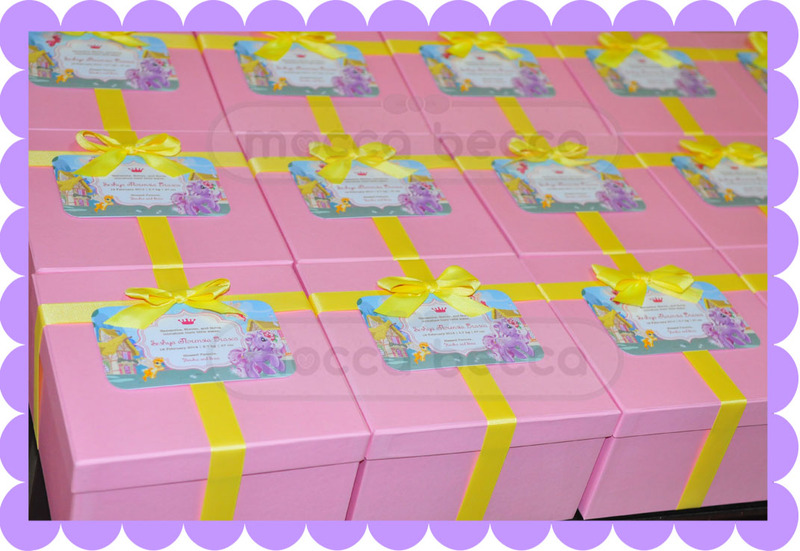 Priyanka & Atiqa’s birthday hampers. 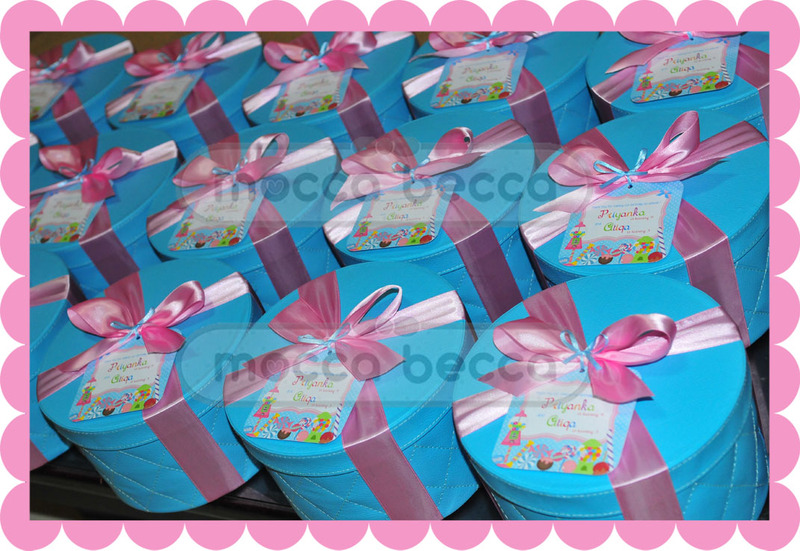 Ordered by mommy Banun, with request candyland theme. 1 sport towel embroidery + 1 kitkat bar. 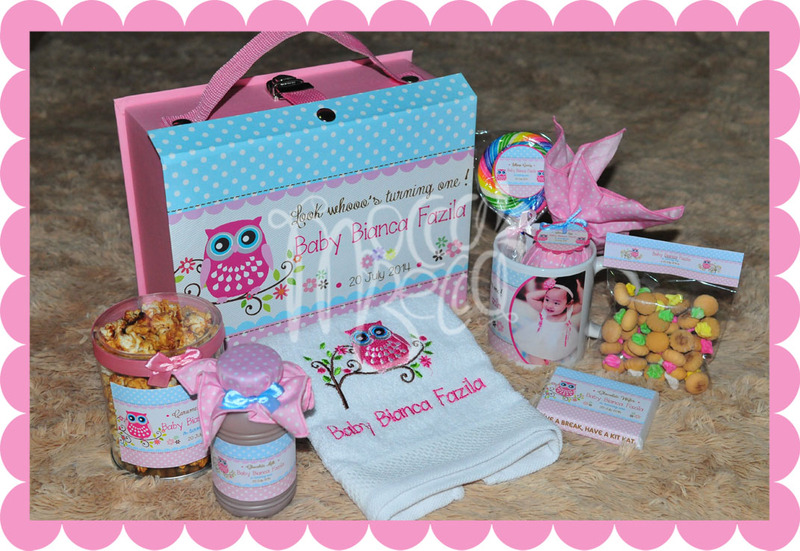 Ordered by mommy Lina, with little owl theme in pink-yellow color. 1 set alphabet cookies + 1 tin can choco chip cookies + 1 tin can peanut cookies. 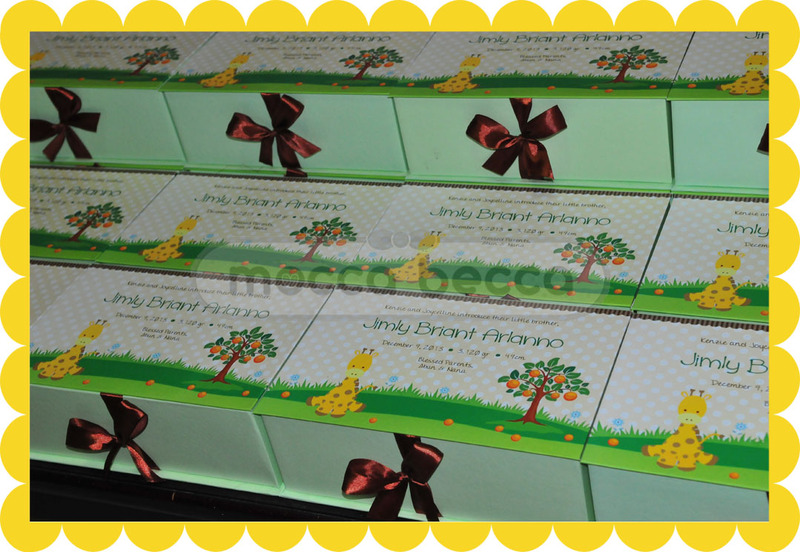 Happy 1mos Jimly Briant Arlanno. Ordered by Nana with request in giraffe theme. 1 printed mug + 1 glass jar choco chip cookies.